Detroit holds a fascination to many people for varying reasons. 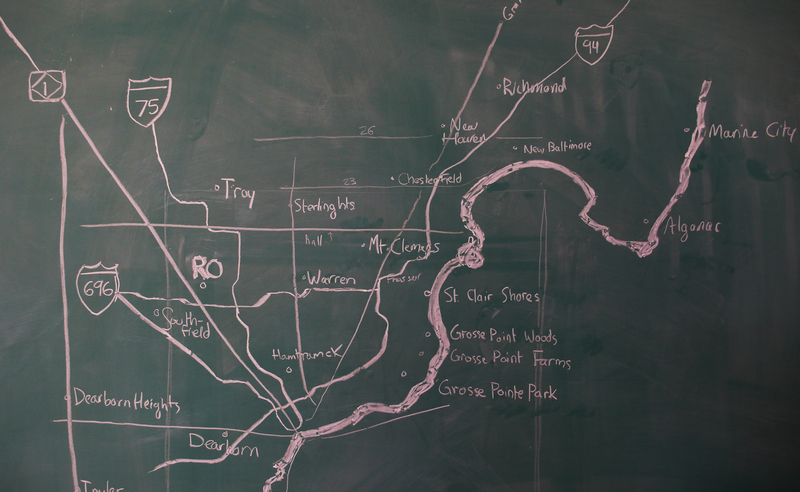 This wonderful chalk map by Fritz Haeg was drawn to help with the planning of a project that hopes to explore the rise of art collectives in the city. 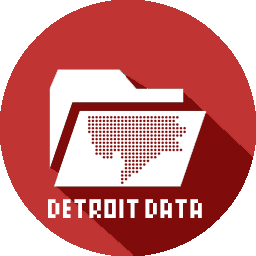 ‘Detroit Methods’ is a studio for exploring the particularly innovative ways in which some contemporary artists are working in Detroit today, while developing student projects with similar strategies and approaches. We are looking at ten local art collectives and artist run initiatives, and their ways of working that extend beyond the conventional private production space of the solitary artist studio and the controlled public presentation space of the commercial gallery and art institution. Instead we see these artists turning into the home, and extending out to the commons, i.e. the street and shared public spaces of the city. The fundamentals of human culture, survival, and pleasure become the source and focus. Eating, gathering, conversing, gardening, cooking, composting, constructing, playing, bathing, cleaning, socializing, and learning often become central to the work. In the process our assumption of a clear division between daily life and elevated art may become blurred. Love my city no matter what!